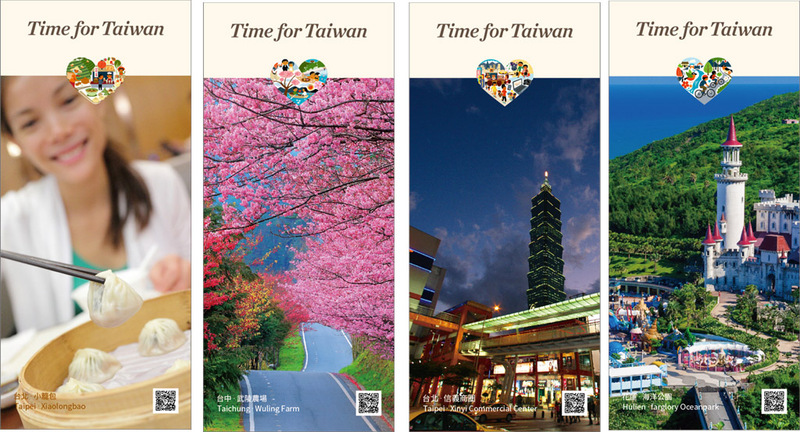 To introduce travel to Taiwan, Taiwan Tourism Bureau present a promotion program for [Time for Taiwan!] on July 10th afternoon in Manila. This event will be at the meeting room 7 of SMX convention center at 2nd Floor. During the program Taiwan Tourism will introduce to the local Philippines people the best tour package program to Taiwan, a free lucky draw of free flight ticket, hotel accommodation voucher and several Taiwan special gifts are prepared for the attendees, it is recommended to local Philippines people must come to event and grab the big prize! This program activity is at the same time of the Travel Madness Fair in Manila, Taiwan Tourism specially invite the local famous celebrity, and famous blogger to be the program promoter for this event, by introducing the tasty food, shopping, romantic love scenery, flowers seasons, amusement parks in Taiwan, the event will share the Taiwan’s most fun, premium travel package, target to invite the Philippines people to make their travel plan for a tour to Taiwan. The culinary culture of the Chinese people goes back a very long time; and while Chinese food can be enjoyed in every large city in the world today, true gourmets know that only in Taiwan is it possible to enjoy fine authentic cuisine from all the different regions of China. In Taiwan, where most locals are huge fans of tasty and special cuisines, it is said that there is a snack shop every three steps and a restaurant every five. These establishments serve all kinds of Chinese food, and international cuisines. Most special is every county has their own specialty, for example, beef noodle, all kinds of pastry, Taiwan Aboriginal cuisine, etc. All these fine gourmets combines the special culinary culture in Taiwan, the international visitors all likes local food during their visit. From the north to the south, there are many large shopping centers and chain department stores in Taiwan. For example the north has Taipei 101 shopping complex, Ximending and Zhongxiao-Dunhua Shopping Area in Taipei; at Central Taiwan there are Fengjia night market, Jingming 1st Street shopping area in Taichung; South Taiwan has New Juejiang Commercial Area, Dream Mall in Kaoshiung. The easy transportation of Taiwan high speed train, Taipei MRT, Kaoshiung express train are very convenient for travelers to enjoy premium travel experience and full of fun any time. In order to make a successful event, this program has invited the famous celebrity Ms. Dianne Medina, and the director Mr. Carl Brian Q. Salvador to be the program Emcee. Ms. Dianne is a famous celebrity following by lots of fans, and also one of the TV news host of PTV4, Mr. Carl (Nickname Carby) is a film and video director for TV commercials and TV shows, they will introduce the details of the six heart theme. This event has invited a local blogger Ms. Berylle Kaye Hong as a special guest, she is one of the top 10 food bloggers in Philippines, having been travel to Taiwan several times, during the program she will introduce her favorite travel experience and memory in Taiwan, and she will recommend the tasty foods in Taiwan. It is recommended to fans of Dianne Medina, Carby and Berylle Kaye Hong to come to the event, to get the chance to meet their celebrity face to face! Furthermore, Taiwan Tourism Bureau gives a promotion project to Southeast Asian countries the simplifying visa regulations for high-end group tourists, Philippine people can just participate in the premium travel tour package provided by the premium travel agency partner, then you are qualified to apply for an entry visa to Taiwan with no need for proof of occupation and supporting financial documents. It is a good news for local people planning for a tour trip to Taiwan! Some premium tour package will be introduced by local travel agencies and airline companies. At the end of the event there are lucky draw of free flight ticket to Taiwan, free hotel accommodation vouchers for the attendants, this is a great event and welcome all interested parties to register for join immediately.